This bakery is located on the small street next to Heidi's 1. They make breads each week, which can be ordered. Actually, anything can be ordered in advance - beautiful birthday cakes, chocolatines/pain au chocolat, scones, brioche, cookies, cupcakes and more. You can even have a cookie or cake party at their shop! 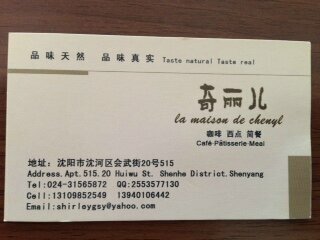 La Maison de Cheryl is highly recommended! 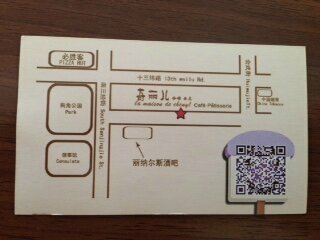 Follow them on Wechat for easy news and ordering.